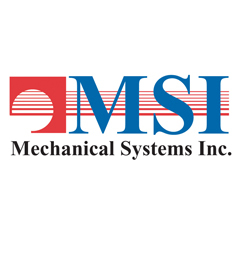 Founded in 1995, MSI Mechanical Systems, Inc. in Salem, New Hampshire, is a second-generation, family-owned business with more than 30 years of experience in the mechanical trade, specializing in the installation and service of HVAC/R (heating, ventilation, air conditioning, and refrigeration) equipment. MSI and their 25 employees are committed to quality service, as well as service to their community. In addition to generous financial donations to local food banks, libraries, and youth programs, MSI’s contributions include the donation of new HVAC systems and installation services for new Habitat for Humanity homes. MSI uses a fleet of 17 service vehicles to make dozens of pick-up and drop-off trips to deliver toys for Toys for Tots and to support the Make-a-Wish Foundation’s “Driving for Dreams” program. MSI started a “Building Dreams for Marines” program to assist Marines who have been injured while honorably serving our country with life-enhancing modifications to their homes. The company is also committed to student mentoring and co-op programs to help promote high academic standards, career development, and workforce preparation for students. MSI may be a small company, but its commitment to community service has made a large impact.